I was going to skip Spring Training for 2019, thanks to the Giants’ front-office turmoil and lackluster performance. I guess I’m a fair-weather fan after all, because I like to go to Dodgers and Cubs games too. On top of that, I’ve been traveling a lot — for pure pleasure. But I couldn’t resist the warm weather this week in Arizona while it was raining at home, so I traded some airline miles for a plane ticket from Sacramento to Phoenix. It will be a working “vacation,” but I’ll also watch some games, go swimming and enjoy some favorite restaurants, ranging from Barrio Queen to Vincent on Camelback (I own chef-owner Vincent Guerithault’s cookbook; he’s a local legend). I was glad to book a trip out of Sacramento instead of SFO. I’m a dog lover, so I also enjoyed petting a Golden Retriever named “Luke” before take off (see photo). 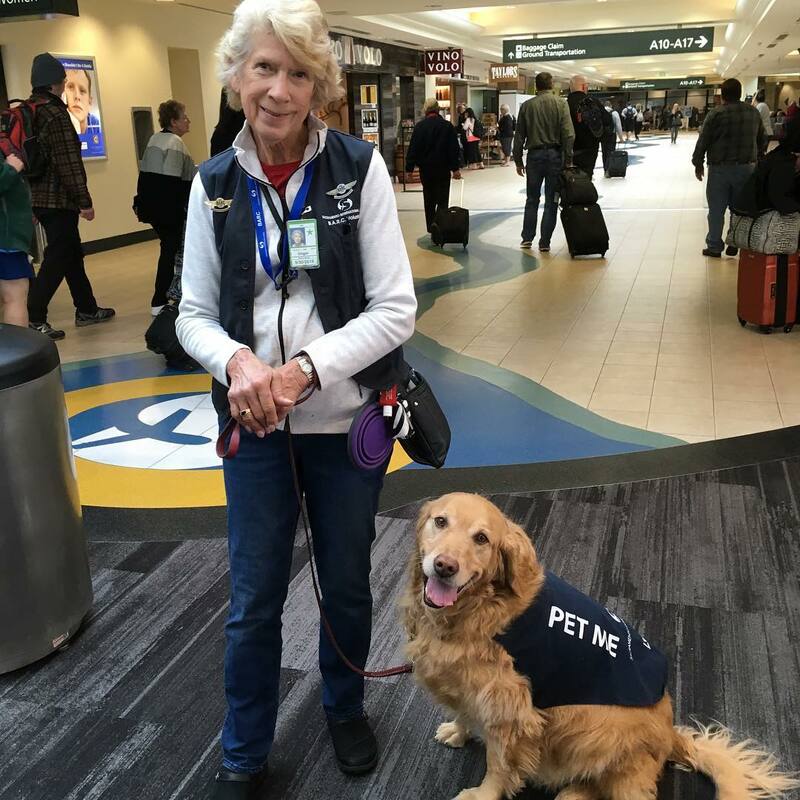 Sacramento has a program that provides dogs “whose temperament makes them suitable for the noisy, crowded environments of an airport terminal,” as the program states. Currently, there are similar programs in an estimated 30 U.S. airports, including SFO (where the dogs are called the “wag brigade”). I enjoyed meeting “Luke” before take off. Luke let me pet him, and he rolled on his back for more scratching (like our dog). In this era of hurried air travel, it’s a delightful distraction.